Many industries use flare stacks to burn off unwanted waste gas byproducts or flammable gasses released by pressure relief valves during unplanned over-pressuring of plant equipment. 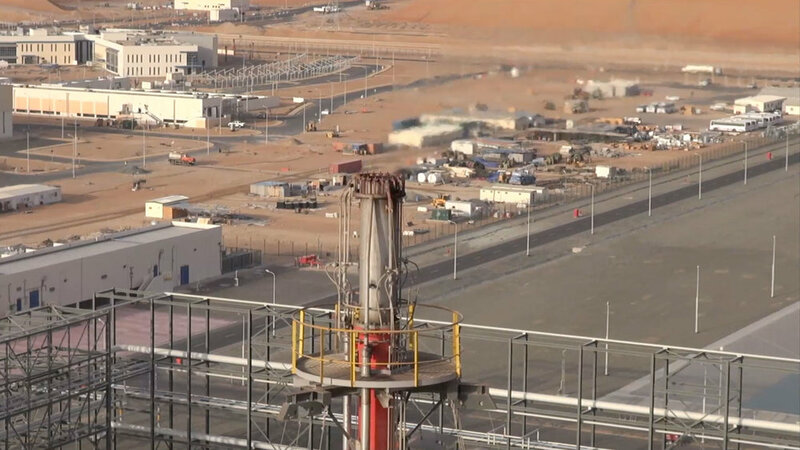 Applications include oil and gas drilling operations, oil refineries, chemical process plants, gas distribution infrastructure, and landfills. In many cases, regulations require monitoring of a stack’s flame, or the pilot flame that ignites the gasses, to avoid having unburned hydrocarbons enter the atmosphere. 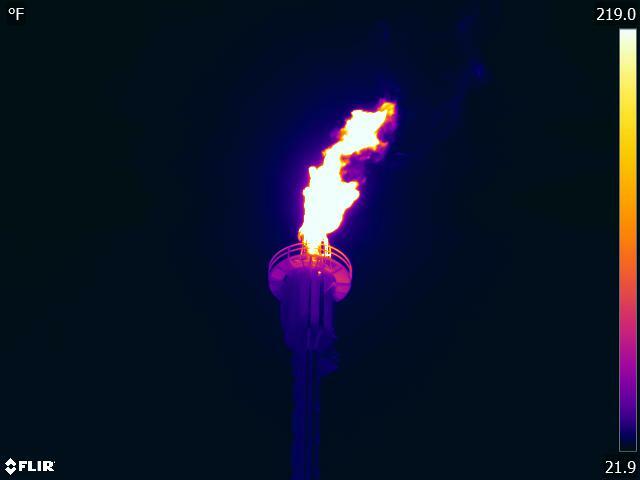 FLIR Thermal Imaging cameras distinguish between the heat signature of the flare stack and the surrounding environment (typically, the sky or clouds). The cameras can be positioned to monitor not only the stack flame but also the igniter flame. Cameras are mounted on a structure in weather-resistant housing. Its calibration and spectral response allows it to obtain a clear image and measure temperature of the flare stack or pilot flame. Even flares invisible to the naked eye are clearly evident on a thermal image. FLIR cameras are integrated with ViperVision software which directly communicates with most industrial platform controllers. The software will analyze and compare the data against predefined parameters and will trigger an alarm if warranted. These parameters can be adjusted based on the specific application needs. Another option from Viper is UAV inspection. The use of drones proves to be very valuable. A drone or UAV equipped with a thermal imaging or optical gas imaging camera can quickly and safely locate problem spots or inefficiencies. High resolution images and video can be collected quickly, and issues can be addressed. This is especially beneficial for hard-to-reach locations, such as flare stacks.